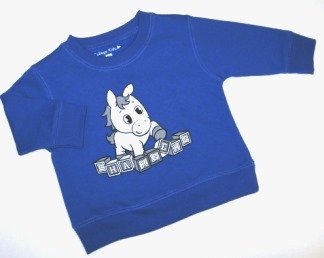 Royal blue sweatshirt with white and gray screened imprint. Made of 80% cotton/20% polyester. Please select option for SWEATSHIRT - ROYAL BLUE INFANT.